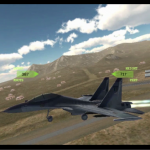 ONE OF THE MOST REALISTIC AIR COMBAT MOBILE GAMES! 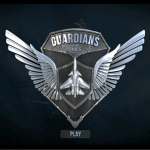 ‘Guardians’ is the most realistic and graphic rich mobile air combat game, which breaks the cliche by bringing the first Campaign based air combat game play on the mobile platform. 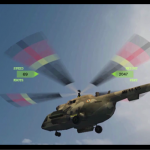 It also sets new benchmark in graphic and game play optimization techniques and has the most elaborate collection of flying missions ever seen on a mobile platform. 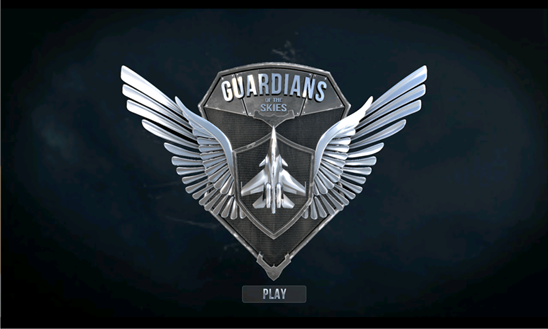 ‘Guardians’ puts the player in the hot seat as an Indian Air Force Combat Pilot and takes you through one training and ten combat missions. 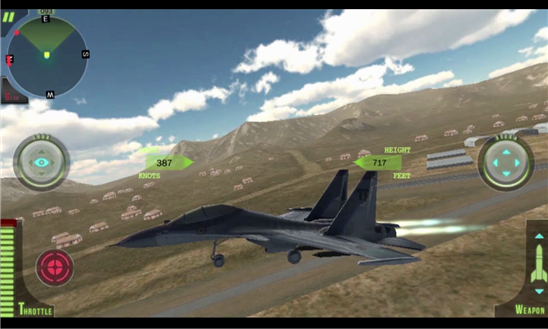 The player learns to fly the SU 30 high performance jet and subsequently flies as a Mi 17 pilot. 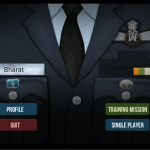 While the training mission teaches the player the basics of flying training, the two operational missions lay down the foundation for the story in which war clouds are hanging over India and Zaruzia, a country planning to wage war on India. 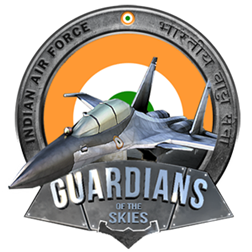 The eight subsequent missions will see a full fledged air war between Zaruzia and India and will feature all operational mission profiles as flown by the IAF and feature the SU 30, M2000, Tejas, Phalcon AWACS, C130, Mi 17, Mi 35 and ALH Dhruv aircraft. 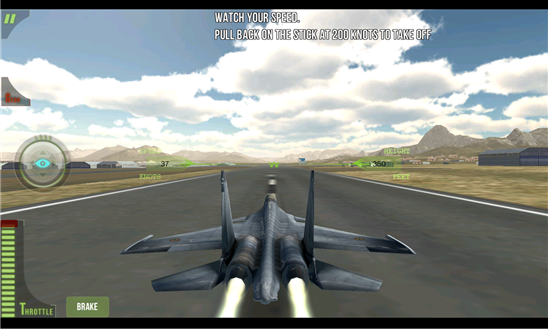 Training – On SU30 MKI. 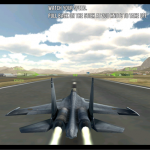 Follow simple instructions and land the aircraft to earn your wing. 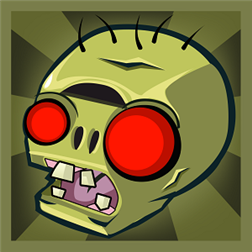 – Motion Sensors and Touch Based. Default Motion Sensor selected. – For best user experience, calibrate your device (from the pause menu), holding it upright or at 45′ angle. 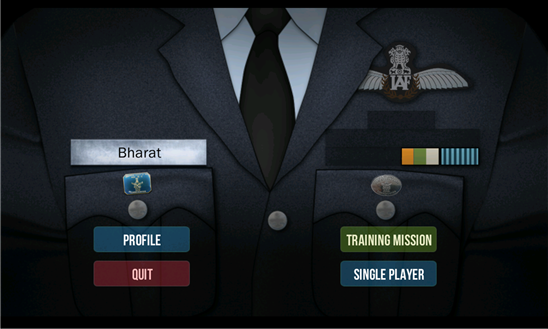 The player achieves campaign ribbons and gallantry awards as he progresses across various missions. 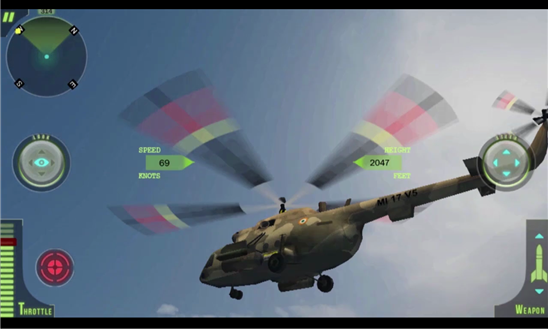 Arcade mode is available for the first three missions, while a cockpit simulation mode will be added for the remaining eight missions releasing as part of phase two on 08 Oct 14.